Tree Decay / Tree Rot - Decay Detection & Mapping tag. Elliott Consultancy Limited utilise a broad range of traditional and state of the art equipment to assess levels of tree decay / tree rot or the size of a cavity. 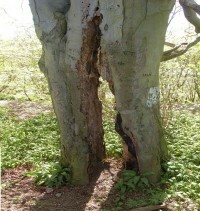 Following quantification and mapping of internal decay an appraisal of the tree using modern research and current industry best-practice will ensure the correct prognosis and recommendations are made. The practice offers its tree decay detection services nationwide, but primarily serves Yorkshire, Humberside, Teesside, County Durham, Tyne & Wear, Northumberland and Cumbria.